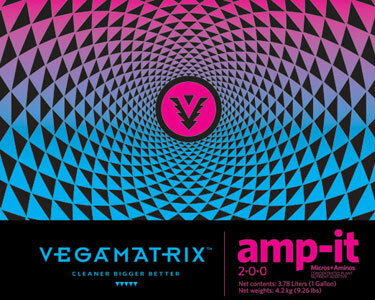 Amp-It is our micro-nutrient supplement. Easy digestion allows the plant to send its energy to growing faster bigger buds. Amp-It helps improve yields when the growing medium is less than optimal. With Amp-It you will get increased protein production, plant metabolism and greater yields!